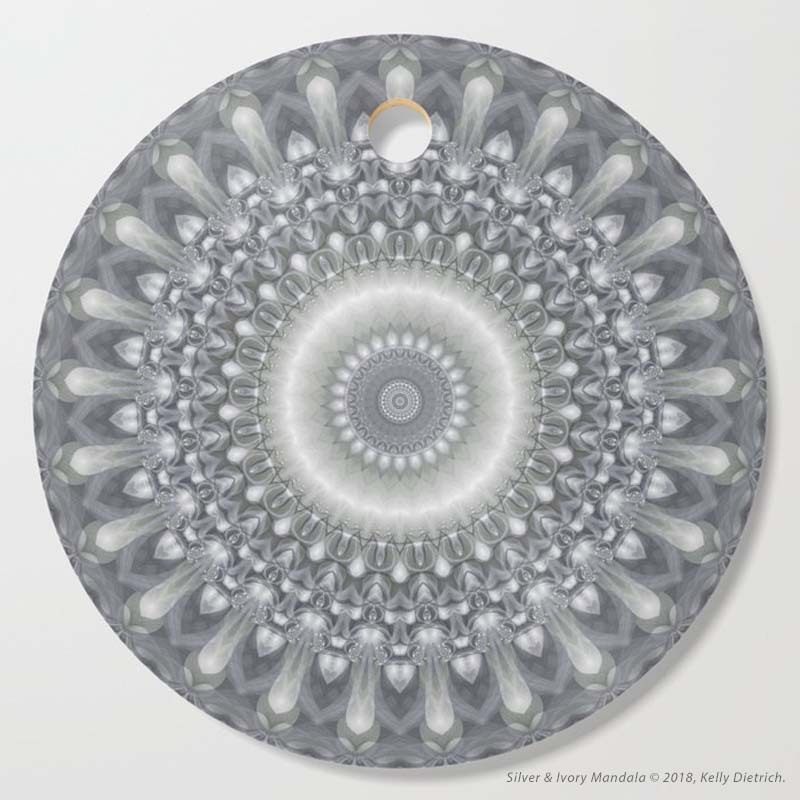 In the new work spotlight this week: Silver & Ivory Mandala, shown above on one of the new products found in my Society6 shop, a round cutting board. Silver & Ivory Mandala design shown on (clockwise from top left: carry all pouches set of 3, iPhone 6 phone case, medium size duffel bag, and round floor pillow. All at Society6.